What’s your schedule like on Christmas morning? Since moving from the city to the country, our Christmas morning routine has changed quite a bit. We now like to get all the animals and fowl fed early (meaning we can have a shower and stay in clean clothes for the rest of the day!). Sometimes we might make it to church – more for social than a religious reasons – and then, it is time to call into the neighbours for an hour or so. These days brunch would consist of our homegrown produce. Even when we lived a less hectic city life, we would generally have gone for the brunch option on Christmas day. Back in those days, before we were pig farmers, kedgeree would often have been on the menu. 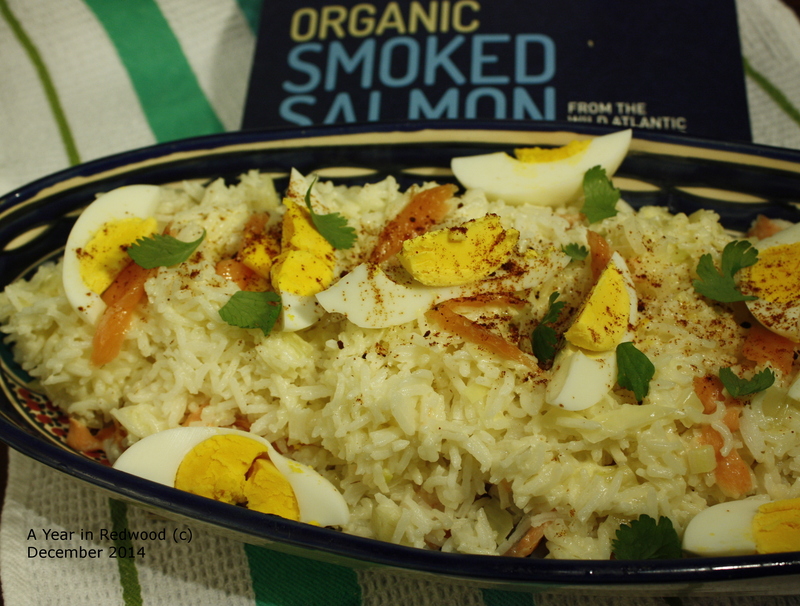 Kedgeree seemingly was very popular in the days of the Raj with the British living in India. I guess that makes it a kind of ‘posh’ brunch. It was traditionally made with smoked haddock, but, hey, if we’re going ‘posh’ let’s go all the way and use smoked salmon! I was asked by the folks at Quinlan’s Fish if I’d share a recipe using their Organic Irish Smoked Salmon. I was delighted to… and had all sorts of plans involving sushi and homegrown horseradish, but then came back to this old favourite. Time is very precious in this house in this week just before Christmas! Last year, I remember saying I wanted a live-in chef for the week of ham shipments. That didn’t happen…. but seriously this just took 20 minutes to prepare. Give it a try…. you’re probably going to have smoked salmon in the house over Christmas, and this is so tasty and easy. Serve it either as a brunch or supper, it works either way. I made it for dinner this evening – just for two of us – but it’s easy to multiply the ingredients for more. 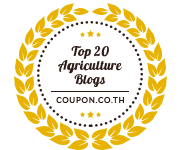 2 organic eggs – hard-boiled and quartered. Hard boil your eggs…. 5 minutes is usually enough…. draining the hot water off the eggs, and running cold water over them to stop the cooking process. Leave them in the cold water until you are ready to peel them. Cook your rice for 10 minutes. Meanwhile, melt the butter in another saucepan. Add the onion, garlic and ginger and fry gently until translucent. Add the cream to the onion, garlic and ginger and heat slowly. By now your rice should be cooked and drained. When the cream has heated through, add the cooked rice to this saucepan and mix well to combine all ingredients. Pull your Smoked Salmon apart into slivers and add most of it to the rice. Mix gently… you will notice it changes colour as it ‘cooks’ when it hits the warm rice. Put the rice mixture onto a serving plate and top with a few reserved slivers of the smoked salmon, together with some coriander leaves and a generous dash of cayenne pepper. Disclaimer: Quinlan’s Fish sent me the Irish Organic Smoked Salmon and asked me to post a recipe. No money exchanged hands. Their salmon is delicious and we enjoyed the resultant dish using their organic salmon. And as i said Colette… it cuts out the cooking of the fish stage… always good in my book to cut a stage, when you’re crazy busy! Thanks Matt… it was, and have a little bit left over so it might feature again in the next few days! I was delighted to see the Quinlan’s pack on the blog. The recipe looks lovely. My company, Firstcom, designed the new identity and packaging for Quinlan’s. Their Superior and Organic are both fantastic salmon, light years ahead of ‘supermarket standard’. They take great pride in their product and it shows on the plate. Thank you… it was the Organic Salmon they sent me… and yes, it is absolutely delicious! Really, really made the dish. I could say (just for the heck of it! )… bit like comparing supermarket pork and ours!! 🙂 Just sayin! There are, undoubtedly, at least two standards when it comes to pork (as there are with smoked salmon). Lovely to be working with and to the higher.